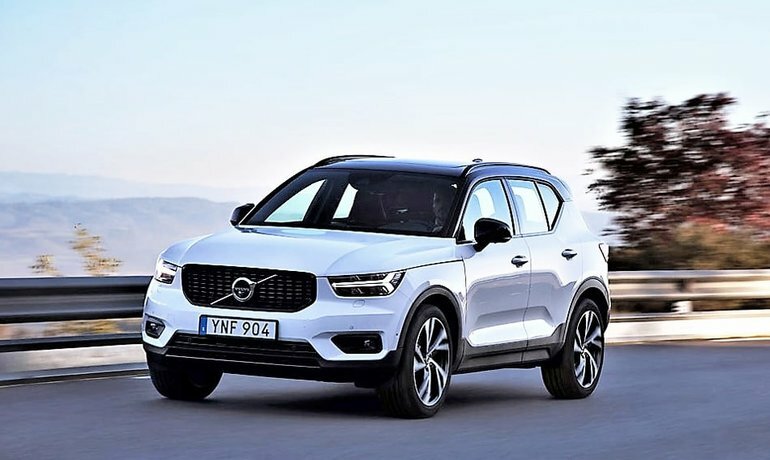 The 2019 Volvo XC40 is one of the most anticipated compact luxury SUVs to come along in years, thanks to the Swedish luxury brand's much-lauded new styling direction, the model's best-in-class standard performance, segment-leading standard safety, and its accommodating, well-equipped, impressively detailed cabin. A key advantage is the new Volvo XC40's 2.0-litre turbocharged base T5 engine, which boasts 248 horsepower and 258 lb-ft of torque for the most power in its class, while a plug-in hybrid will also be available. The base engine connects to an efficient eight-speed automatic transmission with optional paddle shifters for a more engaging driving experience, whereas standard auto start/stop reduces emissions while enhancing fuel efficiency. 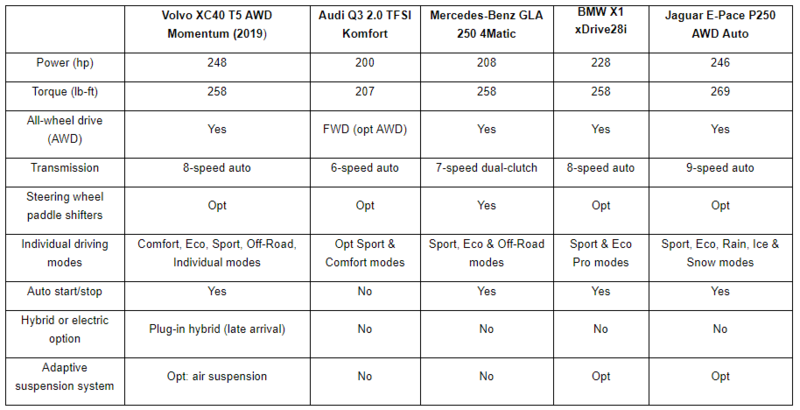 Additionally, standard Comfort, Eco, Sport, Off-Road and Individual driving modes provide ideal traction and stability in all types of road and weather conditions, while standard low, medium or high personal steering assistance settings benefit low-speed parking as well as higher speed performance. Lastly, an available air suspension improves ride quality and handling simultaneously. 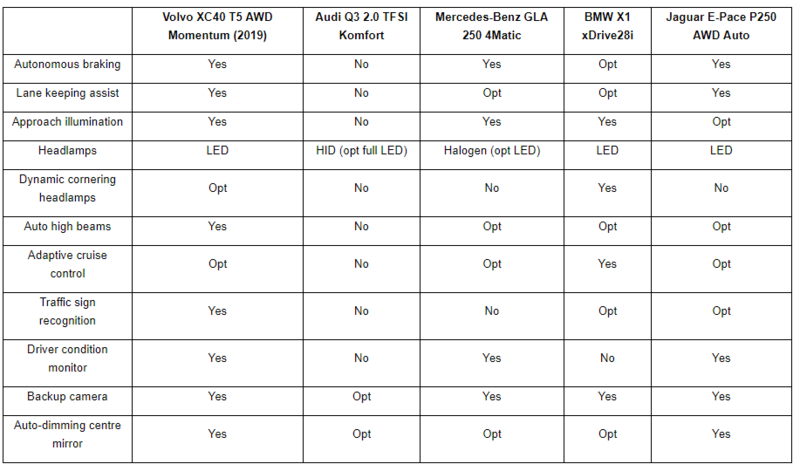 Due to more standard advanced driver assistance systems than any competitor, all 2019 Volvo XC40 owners benefit from brighter LED headlamps with available automatic high beams and dynamic cornering capability, while standard forward collision warning with autonomous emergency braking, and standard lane departure warning with lane keeping assist bring best-in-class safety as well as peace of mind. The XC40's standard traffic sign recognition brings speed limit changes to attention too, which aids road safety and could even save you money by helping to avoid a speeding ticket, while a standard driver condition monitor sounds an alert you when you're getting drowsy and then prompts you to rest. Also helpful during long drives, the XC40 can be had with adaptive cruise control that automatically adjusts to the speed of surrounding traffic. The XC40 also comes standard with one of the largest infotainment displays in its class at 9.0 inches, its standard backup camera therefore providing greater rearward visibility, while it's one of the only vehicles in its segment to include a standard auto-dimming rearview mirror, which reduces glare while providing a clearer view out the back. Also important, standard approach illumination lights up the area around your XC40 at night, which minimizes your chances of tripping over something left in the driveway and increases security against potential predators. Other advanced safety highlights include an available 360-surround camera, powered rear child locks, heated wiper blades, as well as "Pilot Assist" semi-autonomous driving and parking. 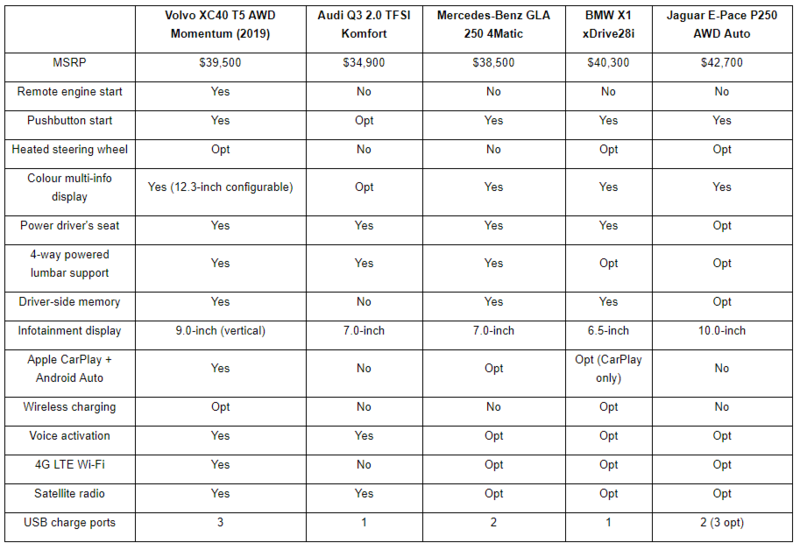 The new 2019 Volvo XC40 is priced at just $39,500, which makes it one of the most affordable vehicles in its luxury class with standard all-wheel drive, while its long list of additional standard features only adds to its value proposition. Along with items already mentioned, the XC40 comes standard with remote engine start, pushbutton ignition, an electromechanical parking brake, rain-sensing wipers, automatic climate control, Apple CarPlay and Android Auto smartphone integration, 4G LTE Wi-Fi, voice activation, satellite radio, three USB ports, a heated steering wheel, heated front seats, powered front seats with four-way lumbar support and driver's side memory, genuine aluminum inlays, plus much more. Especially impressive, the XC40 one-ups all of its competitors by providing a standard 12.3-inch configurable gauge cluster, this feature usually an expensive option if available in this class at all. Volvo also provides a long list of XC40 options, a few of which include a driver's seat lower cushion thigh extension, a 14-speaker 600-watt Harman Kardon audio system, and heated rear seats. On top of all this, the new XC40 provides one of the most accommodating cabins in its segment, with more front and rear legroom than the majority of competitors, plus more cargo space behind the rear seatbacks. Additionally, an optional storage box is available under the front passenger's seat, while power-folding rear seatbacks are on the options menu too. Finally, thanks to its 2,100-kilogram trailering rating, the new XC40 can tow heavier loads than its key competitors. 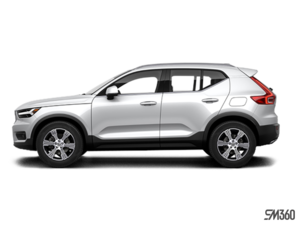 There's a great deal more to the 2019 Volvo XC40 than we can possibly show you here, so make sure to contact Volvo of Vancouver by calling 888-454-4165 locally, 888-485-1879 toll free, or drop by our showroom at 8530 Cambie Street, just behind the Marine Drive Skytrain Station and Marine Gateway urban centre between Cambie and Yukon streets.